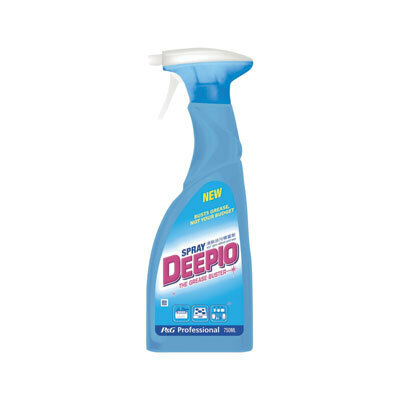 For environments that struggle with excessive grease including those in the catering industry, the Deepio Degreaser Spray is the hardworking cleaning product to rely on. The non-tainting formula requires no rinsing while boasting active ingredients chosen for their ability to cut through heavily soiled grease. The ideal choice for floors, kitchen equipment, hobs, cookers and much more, the degreaser formula comes in an easy-to-use spray nozzle for even distribution across your entire surface. For all your Janitorial needs, our range of products includes all manner of Floor and Hard Surface cleaners alongside more specialist lines such as our Foodsafe Detergent - specially designed for catering environments.